FanSource is a fan’s emporium of all the latest information about some of your favorite stars - where to write for an autographed photo and be guaranteed a response, join official fan clubs, opportunties to purchase exclusive books, CDs and DVDs - autographed by the artist, FanSource special offers, news about FanSource special events, as well as links to other sites for you to visit that FanSource recommends. Bookmark this site now and continue to visit for exciting new updates! Ann-Margret appears in the second season of SYFY's series HAPPY premiering on March 27, 2019. Click Here for more info. Stefanie Powers is set to star in One November Yankee at the Delaware Theater Company in Wilmington, DE Oct. 23 through Nov. 10, 2019. Join us for a surprise brithday reception for Stefanie after the matinee performance on Sunday, Nov. 3. Click Here for more info. Lindsay Wagner is currently filming the movie Christmas on the Range, also starring A. Martinez, Nicholas Gonzales and Erin Cahill. Lindsay plays the long-estranged ex-wife of Brick McCee (A. Martinez), a wealthy, bitter rancher. Watch for a December premiere. Patrick Duffy is pleased to announce the release of his novel Man from Atlantis in which he formulates his own version of the history of Mark and his people. Here at last is the book that gives every reader and fan of the show the life and mythology of Atlantis, who they were and where they came from. Click Here to order your personally autographec copy. 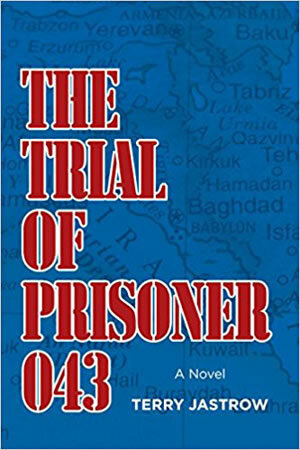 Terry Jastrow is pleased to announce the release of his first novel, THE TRIAL OF PRISONER 043, on Tuesday, Aug, 1, 2017. Click Here for more info. 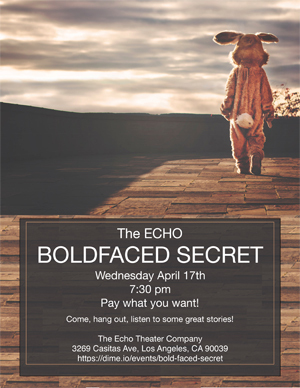 Kathleen Noone will be one of the 'storytellers' at The Echo Theater Company's BOLDFACED SECRET on Wednesday, April 17, 2019. The theater is located at 3269 Casitas Ave, Los Angeles, CA 90039. For reservations and ticket information, Click Here. Come, hang out, listen to some great stories! Robert Pine just filmed an episode of FOX's COOL KIDS, entitled 'Indecent Proposal'. Watch for it to air later this month or early May. The show airs on Friday nights at 8:30pm. Stefanie Powers is getting ready to star in a 6 week tour of 84 CHARING CROSS ROAD in the United Kingdom. Click Here for more information on the tour schedule. 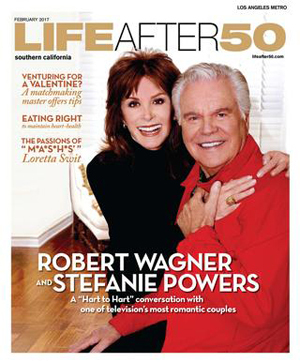 Stefanie Powers was featured on the cover of the February, 2017 issue of Life After 50. 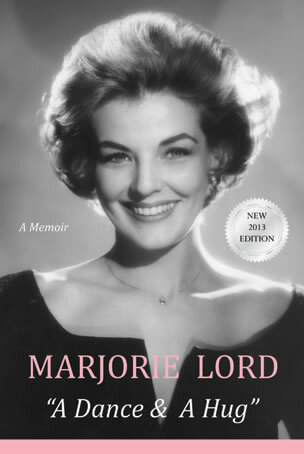 Marjorie Lord's memoir was re-released on May 28, 2013. This 2013 edition includes a complete episode guideline to her television series MAKE ROOM FOR DADDY, along with comments from Marjorie about working on specific episodes in the series. This new edition also includes a compete listing of all of Marjorie's film, television and theatre credits. FanSource.com is pleased to offer our visitors personally autographed copies signed by Marjorie's daughter actress Anne Archer, and along with your order through FanSource you will receive a matching bookmark. Click Here for more info. 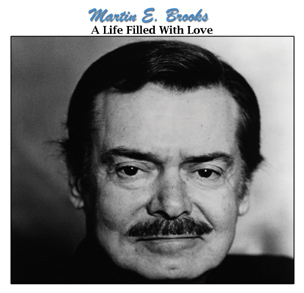 Martin E. Brooks' CD A LIFE FILLED WITH LOVE Love features original recordings of demos Martin did back in the 1960s at the request of a record producer. All songs written and performed by Martin. Each track has a introduction from Martin. CD comes with four page insert with photos of Martin performing on stage in Say Darling and notes from Martin about the production of this CD. Click Here for more info. 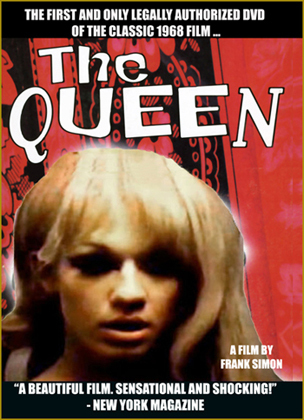 THE QUEEN is an extraordinary documentary about the Miss All-America Camp Beauty Pageant held at Town Hall in 1967. The contestants were transvestites from all over the country – some of them winners in regional contests – judged for walking, talking, bathing suit, make-up, hairdo and, of course, beauty. Click Here for more info.